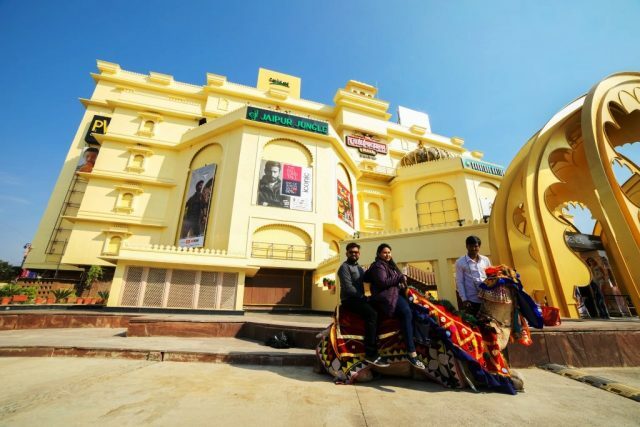 Rajasthan is a beautiful blend of eclectic cultures. 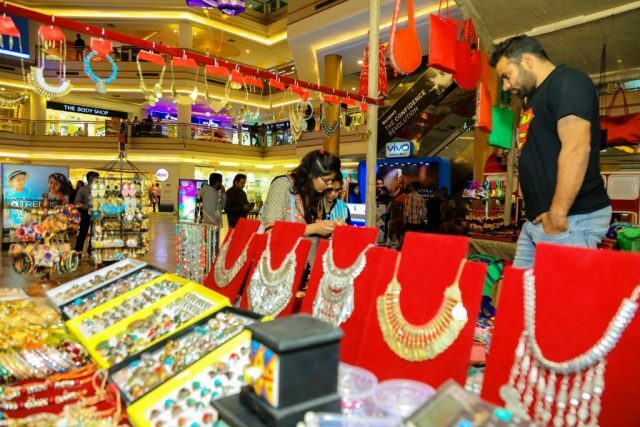 Several fests are organized to celebrate the love for the State in the City of Lakes. 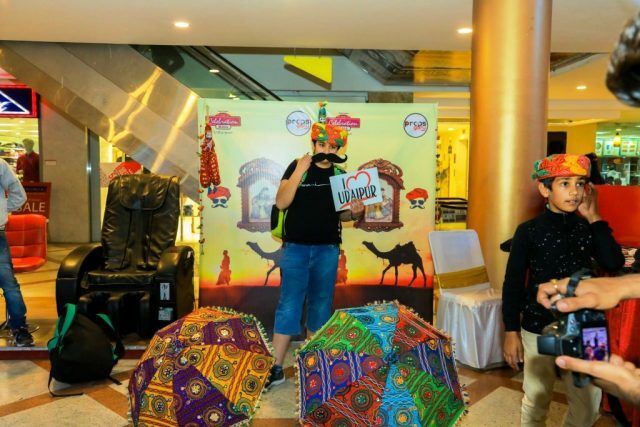 This Valentine’s season Udaipur showed its love and pride towards Rajasthani Culture at The Celebration Mall Udaipur in Mharo Rajasthan. 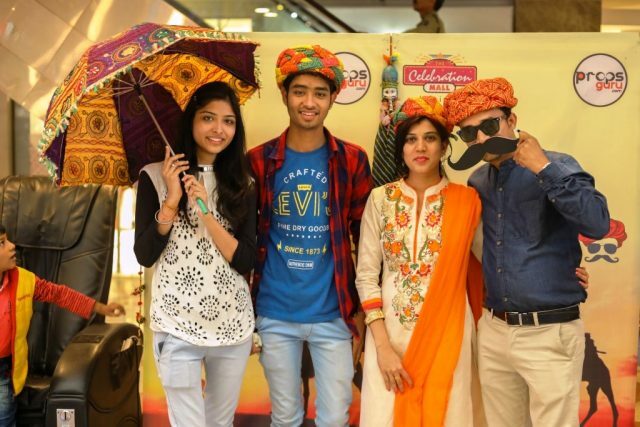 The Mall celebrated the love for the art forms of Rajasthan and also let the people of Udaipur enjoy the fiesta with them. 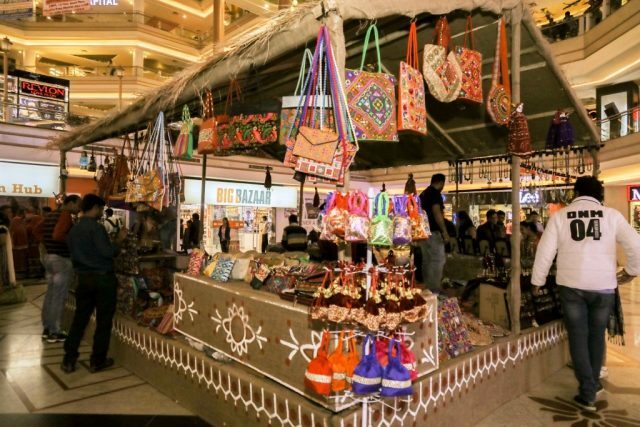 The Mall was decorated in Rajasthani theme with a lot of activities like puppet shows, Pottery, Clay Art, Camel ride, Photo Zone and Rajasthani Handicraft stalls. The puppet show was an attraction for the children; they also enjoyed the pottery and clay art. People were not even apprehensive in getting their hands dirty!! 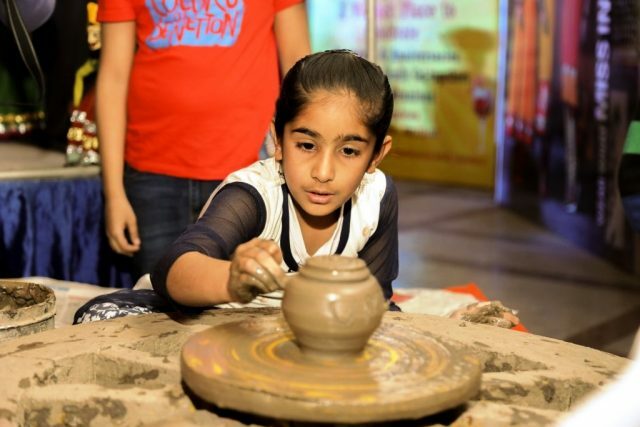 Many children, as well as adults, took active participation in making pots and learning pottery! The clay art also gathered much acclamation. The photo-zone took all the zealous selfie-takers to its side. 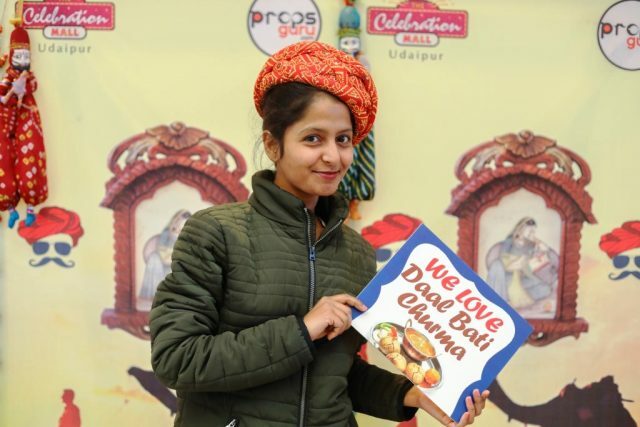 With several props, people of Udaipur loved clicking and making their day memorable. 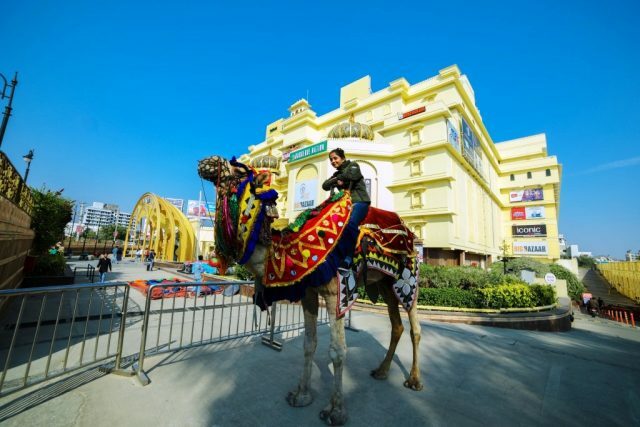 Camel rides were outside the mall, the periphery was marked by enthusiasm as it was the first time there was a camel ride outside of the mall which attracted a lot of people even foreign tourists. The camel ride was a fun part of the entire event. Udaipur is a tourist hub and people from all over the globe come to explore the Venice of the East! 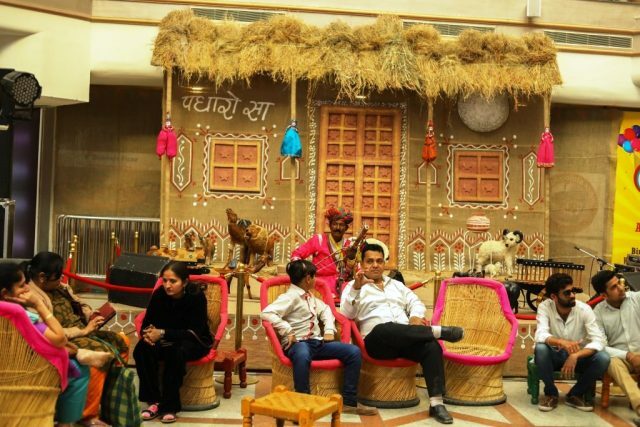 For all those beautiful people a stall dedicated to the Rajasthani Handicraft was put up. It did get all the appreciation and footfall. 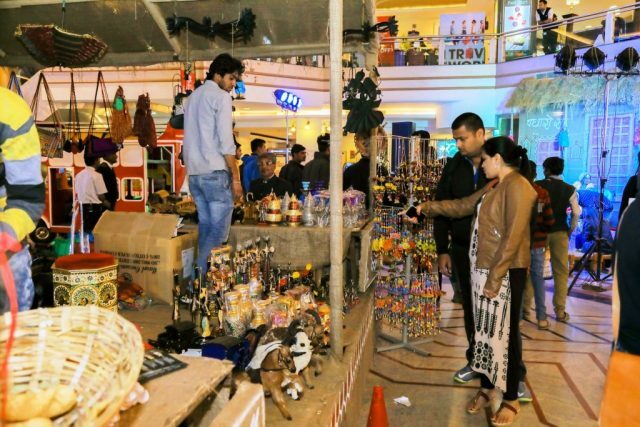 The people loved the handicrafts and were fascinated by the handmade stuff. The jewelry section took over the ladies! Beautiful Rajasthani tribal jewelry was put forth and the ladies loved it. 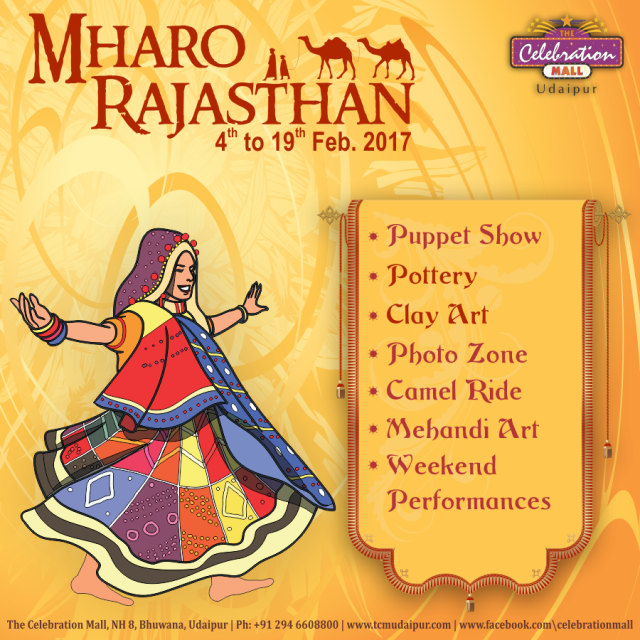 The festival Mharo Rajasthan started on 4th of February and would go on until 19th of February. 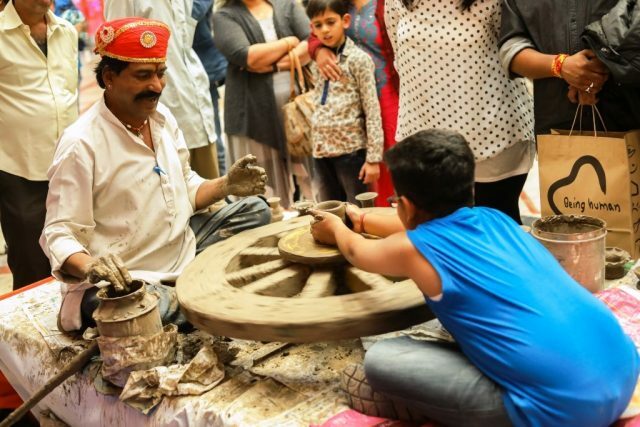 Apart from the above, Mehndi art too lured the public. 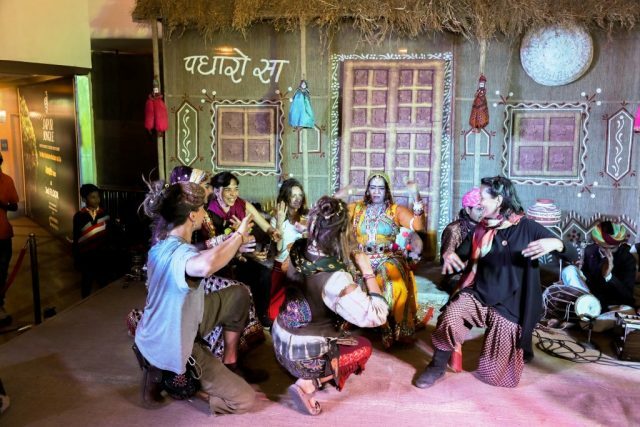 As we all know how eminent and fun filled are Rajasthani Folk music and dances are. Celebration Mall took care of that too. 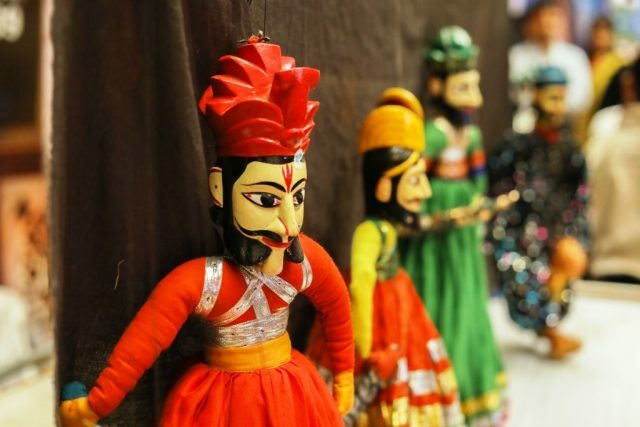 Various artists performed the Folk Dances of Rajasthan like the very famous ‘Matki Dance’. The folk music also enthralled the people with an aesthetically appealing musical performance by vernacular artists. As the previous weekend was fun filled, we believe the following week will be all the more exciting. Foreign visitors also got engrossed in the event by the breath-taking performances of the artists. More charming and alluring performances are lined up for you to enjoy the essence of Rajasthan with Celebration Mall Udaipur. 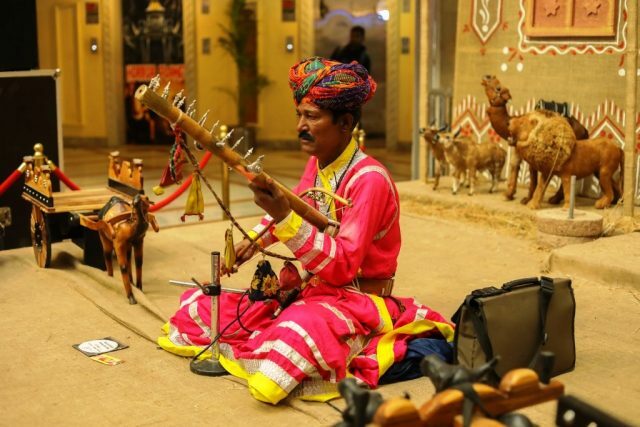 This frolicsome event will continue until 19th February and this weekend will also see some amazing Rajasthani performances by various artists. 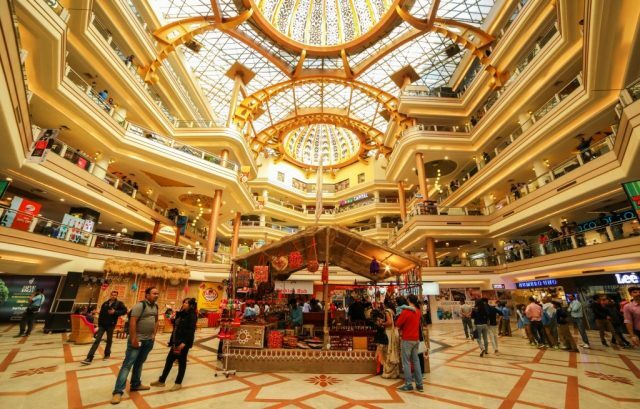 Visit the Celebration Mall for more captivating and enticing performances and we are sure that you will love the ambiance it has to offer!! Next articleMuch Awaited ‘Passport Seva Kendra’ Opening in Udaipur!